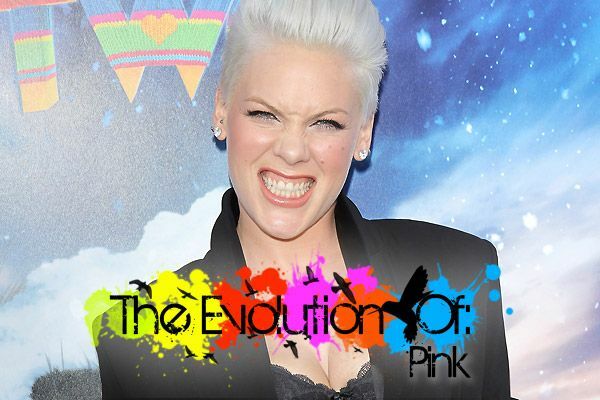 Pink is beautiful, fiery and has been at the forefront of music for over 12 years. She will continue her outspoken legacy with her sixth studio album Truth About Love. Alecia Moore begins her singing career in an all-girl R&B group called Choice in 1995. The group disbands in 1998. Pink makes her solo debut in 2000 under the tutelage of L.A. Reid, releasing the double platinum album Can't Take Me Home, with hits like "There You Go." Lil' Kim, Pink, Christina Aguilera and Mya collaborate on "Lady Marmalade" for the film "Moulin Rouge" in 2001. Against her label's wishes, Pink releases an edgy sophomore album called "Missundaztood." She is determined to change her sound and image, with hit singles like "Get the Party Started." In 2001, Pink meets and falls for long-time love motocross racer Carey Hart. They appear at the ESPN Action Sports and Music Awards. Pink earns her first Grammy for Best Pop Collaboration With Vocals for "Lady Marmalade" in 2002. As Pink's star rises, she is asked to contribute to the soundtrack for "Charlie's Angels: Full Throttle." Her song "Feel Good Time" is featured in the film, and Pink makes a cameo, too. Pink and Carey Hart appear at the 2003 MTV VMAs but break up later that year. It doesn't get easier for Pink as she drops her third studio album "Try This" in 2003 to poor sales. The on-and-off couple not only get back together but get engaged. Always unconventional, Pink proposes to Carey Hart in 2005 and the couple marries in Costa Rica in 2006. Pink accepts a Moonman at the 2006 MTV VMAs for Best Pop Video for "Stupid Girls" off her album I'm Not Dead. Pink's career is back and running full steam ahead. In 2006 and 2007, Pink opens for chart topper Justin Timberlake during his FutureSex/LoveSounds Tour. In 2008, Pink drops her fifth album Funhouse. Her first single "So What" is leaked online, becoming Pink's first solo #1 on the Billboard Hot 100. Unfortunately, the song deals with her separation from hubby Carey Hart. Pink performs her song "Sober" to a thrilling trapeze act at the 2009 MTV Video Music Awards. Continuing to wow audiences, Pink puts on a show-stopping performance for her song "Glitter in the Air" at the 2010 Grammy Awards. The performance earns her a standing ovation. Pink and Carey Hart enjoy a moment at the 2010 AMAs. They reunite after a brief separation to announce they are expecting their first child. 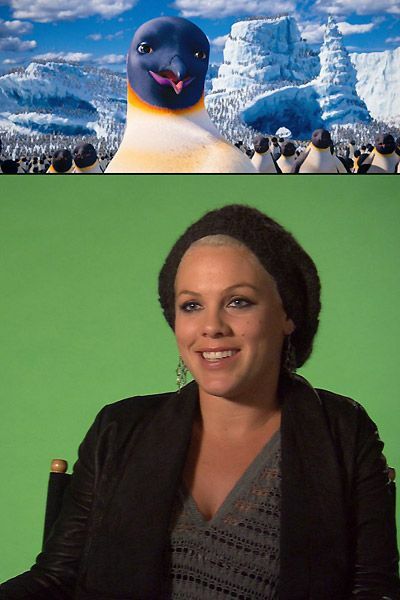 Taking her acting career one step further, Pink voices the character Gloria in "Happy Feet Two." On June 2, 2011 Pink welcomes her daughter Willow Sage Hart to the world, and continues to show her off at the premiere of "Happy Feet Two." 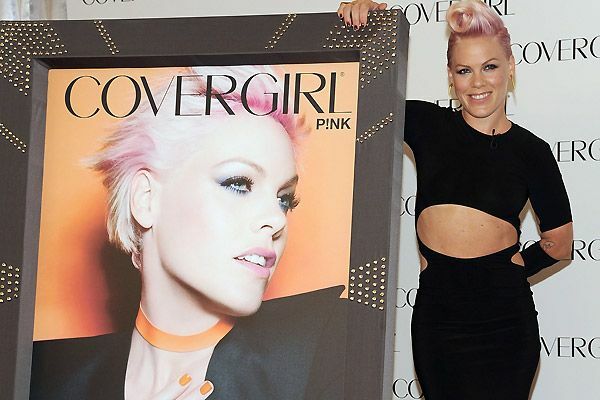 Besides being a positive role model for young women, Pink's unique style and beautiful looks helped catapult her into her role as the new face of CoverGirl. Pink will return to perform at the 2012 MTV VMAs on September 6th.